When it was first announced that Blondie and Melissa Etheridge would be touring together it seemed to be one of those that came out of left field. 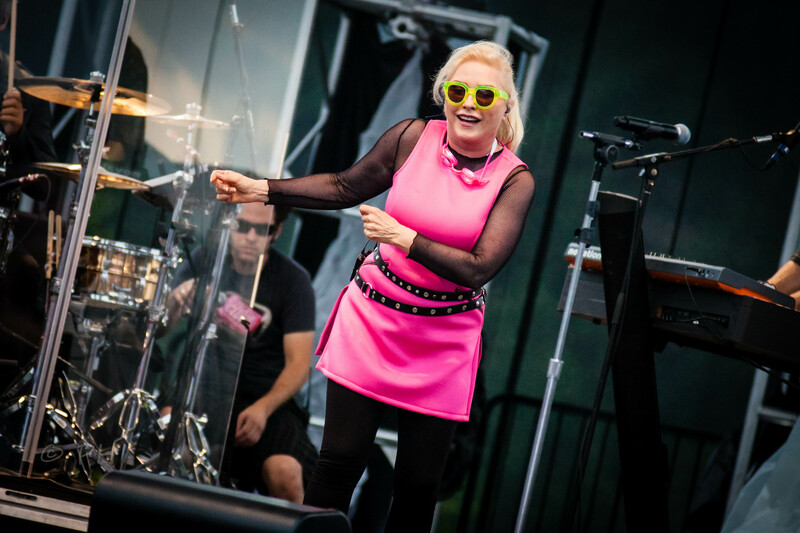 Blondie singer Deborah Harry made note of it during the concert Tuesday evening and said the tour is going great and she was having a blast. 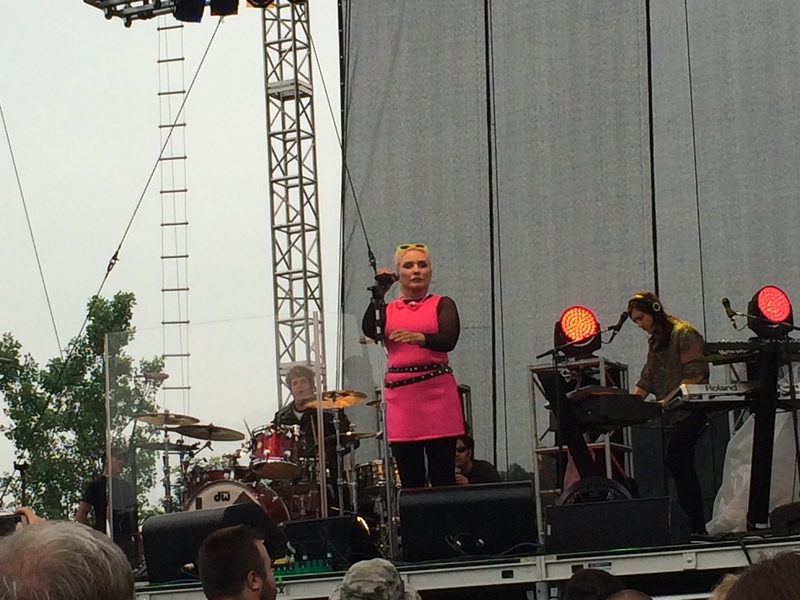 Despite looming signs of dark clouds at times and some steady rain during Blondie’s set the weather held off as The First Niagara Tuesday In The Park series at Artpark served up its fourth show of the 2015 season. The bands are alternating nights closing the show and it was Blondie’s turn to go on first. Harry all dressed up in a pink top stood out from miles around as the band drove into “One Way Or Another” a gem from their 1978 release Parallel Lines. Harry who turned seventy last week showed no signs of slowing down and screamed out “Hello Is This Buffalo” as the band launched into “Hanging On The Telephone”. The band still contains the core nucleus of Harry, guitarist Chris Stein and drummer Clem Burke. Of course Harry and Stein wrote many of the band’s biggest hits. Keyboardist Matt Katz-Bohen, bassist Leigh Foxx and guitarist Tommy Kessler round out today’s version of Blondie. The band mixed in songs from their latest release last year’s Ghosts Of Download around standards such as “Maria”, “The Tide Is High” and “Atomic” to name a few. The band closed out their set with “Dreaming” as Harry emphasized that it was one thing in the world that was still free. You can trace the band’s humble beginnings back to that new wave/punk scene that emerged from the underground clubs in New York City during the mid 70’s. Even on Ghosts Of Download you can hear some of the allure that has influenced many bands past and present. 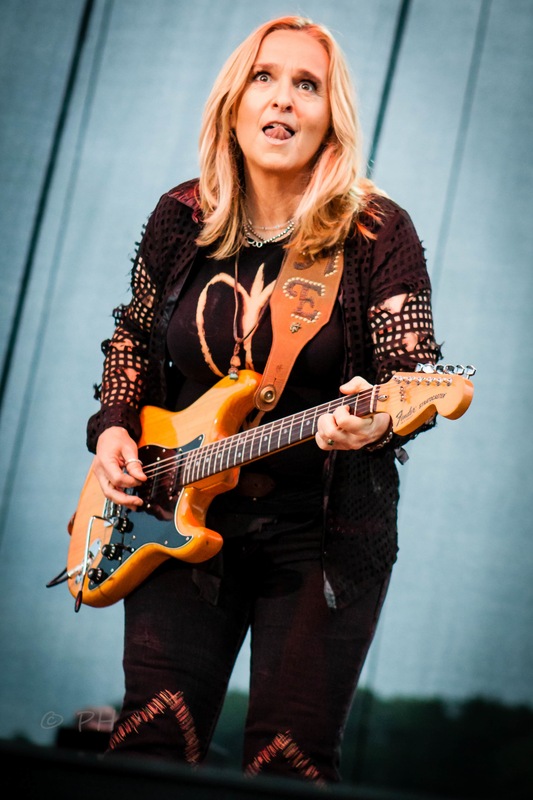 Melissa Etheridge made her first appearance on the Artpark outdoor stage Tuesday and brought along a solid backing band to help her pull off a various set of songs mostly from her earlier albums. She took the stage with “If I Wanted To” followed by “Your Little Secret” which the core of her fans took an instant liking to the way the night started off. I must say the last time I saw Etheridge was an acoustic show where it was just herself sans band. That show was so good that it took me a little while longer to get used of her playing with a band again. It wasn’t until she dove into her radio smash “I Want To Come Over” that I was won over. She even dug out “Meet Me In The Back” a track she plays occasionally but not very often. The high point in her brief set by far was an amazing take of “Come To My Window” which is taken from Yes I Am, her biggest album which has now gone six times platinum. Although the weather may have deterred some from coming out, the audience was still decent. 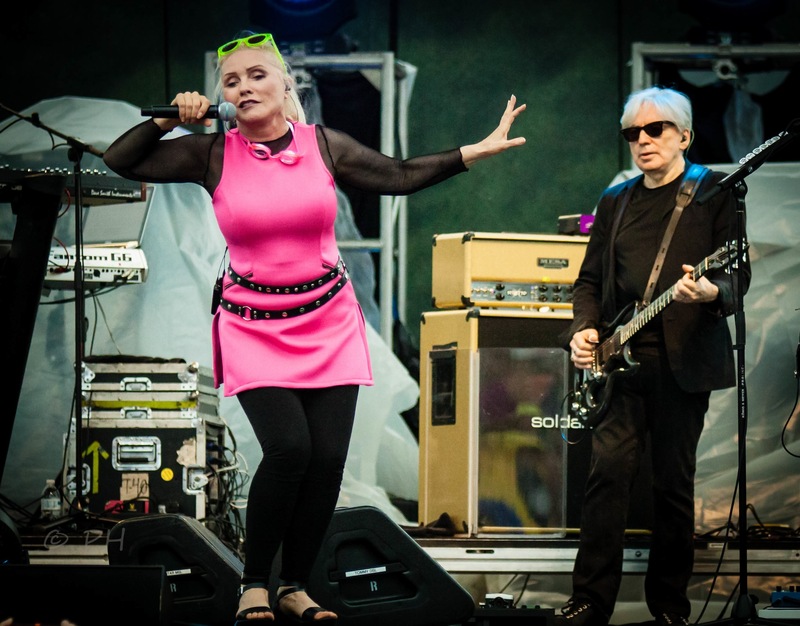 The double bill was a feather in the cap for Artpark as it isn’t everyday you have two artists of the magnitude of Blondie and Melissa Etheridge play a show of this caliber. 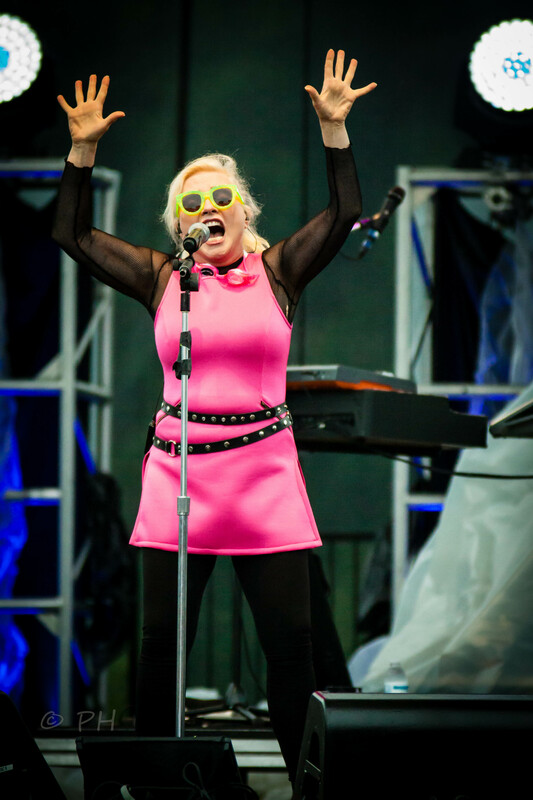 This entry was posted in Concert Reviews and tagged Artpark, Blondie, Chris Stein, Deborah Harry, Melissa Etheridge. Bookmark the permalink.